We've been back from our holiday for several day's now, but of course as soon as I returned to our cold wet winter from the warm tropical day's we were experiencing, I came down with a head cold. For the last two days I've been sneezing and coughing my head off. Nothing I can take antibiotics for, just one of those things you have to ride out and eat chicken soup for! As such, I've been a bit slack in doing my nails. 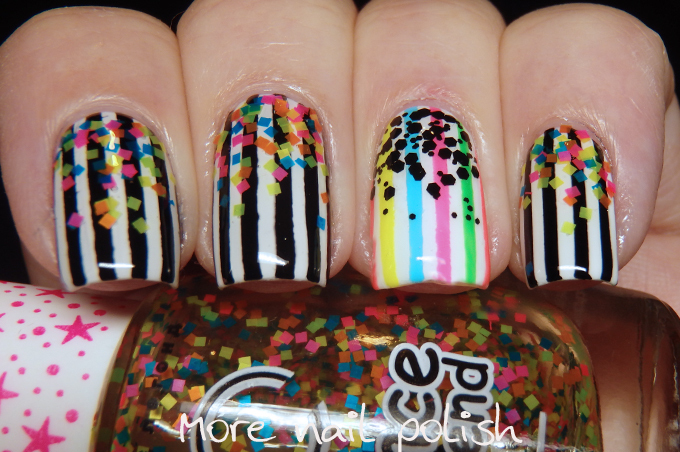 The mani I have on today is the one I did Sunday night. 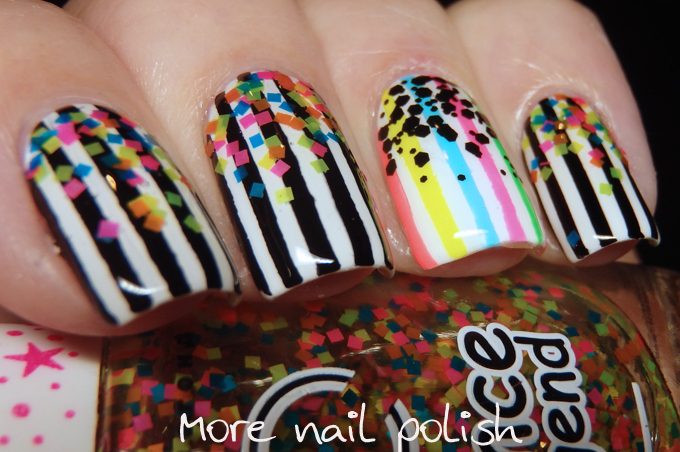 I've got to go do my nails now so I have something to post for this weeks 40 great nail art ideas challenge. 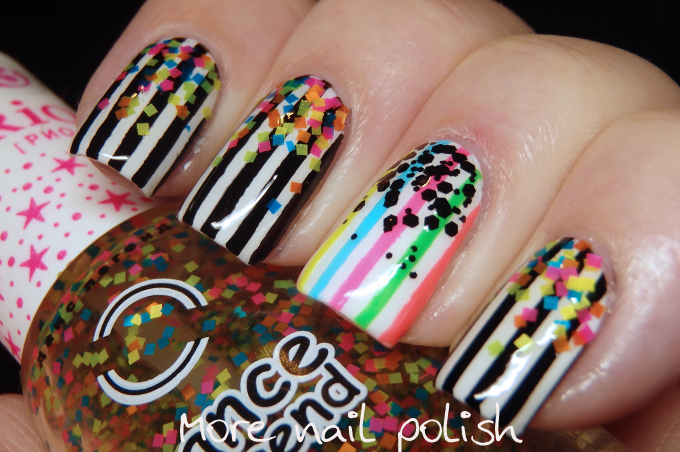 This mani is one I did a few weeks back. It's ok, but didn't end up as fun and vibrant as I had originally planned in my head. It also felt a bit disappointing because it took forever to do. I used nail vinyls and they just take me forever to use! I really like the final result, it's beautiful! The design is very cute! 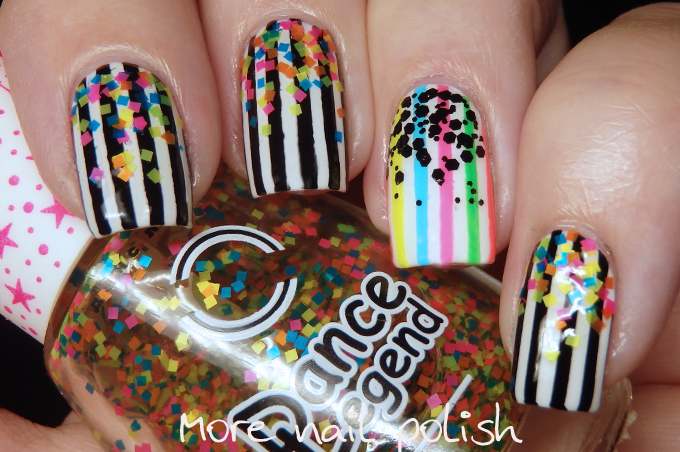 This looks really cool - I'm loving that Dance Legend glitter! Adorable mani! Love the design. Get better!! !